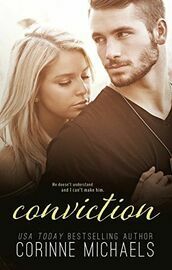 (Book 2 of 2 in the Consolation Duet) ** You must read Consolation first ** I fell in love with Liam only to be left shattered into a million pieces. Again. The idea of being without him cripples me but the reality is, he's gone.He doesn't understand and I can't make him.If only he'd see the conviction behind my words--then he'd still be here.